After 14 years of waiting, we finally get the movie we’ve been waiting for. 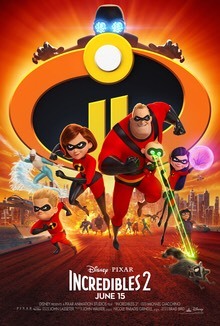 Incredibles 2 is here and Kelvin Wilson of “We Do Movies” is back to give us his review of the new Disney/Pixar film. Was this worth the 14 year wait or was it too little to late? Watch the review and comment below.